Created by popular demand! This unique ornament features a slightly raised sand dollar design above a background of green patina. 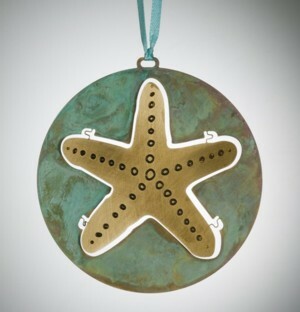 This brass decorative ornament is hand finished with a protective sealant that preserves the color, luster, and sheen. No special care required. 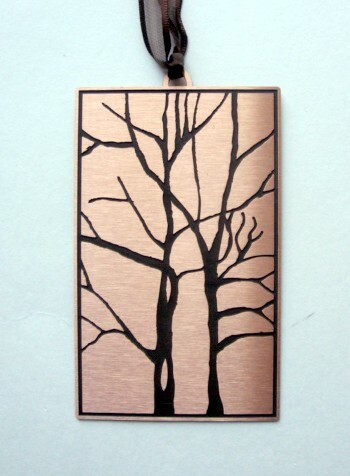 Diameter is 3.5 inches. In stock. Shown here in copper, also avail in brass. 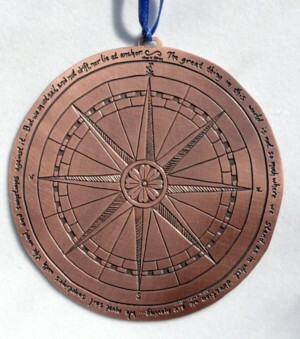 This handcrafted copper ornament is an eye-catching representation of The Compass Rose - the famous nautical device appearing on sailor's charts and maps since the 1300's. This copper decorative ornament is hand finished with a protective sealant that preserves the color, luster, and sheen. No special care required. 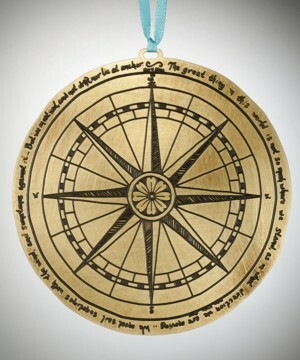 Diameter is 3.5 inches. In stock. 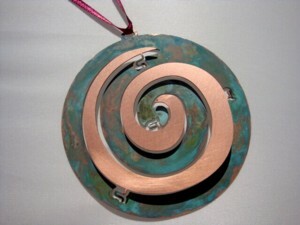 This unique ornament features a slightly raised copper spiral above a background of green patina. 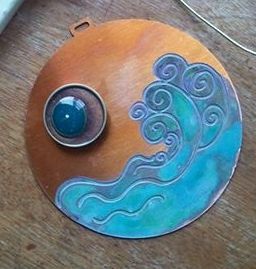 The spiral has been a spiritual symbol in many cultures for thousands of years and appears in many of our artworks. 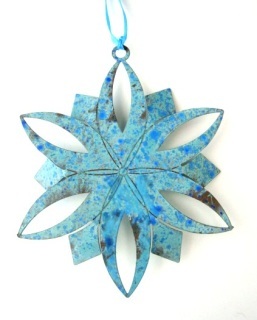 This ornament is hand finished with a protective sealant that preserves the color, luster, and sheen. No special care required. 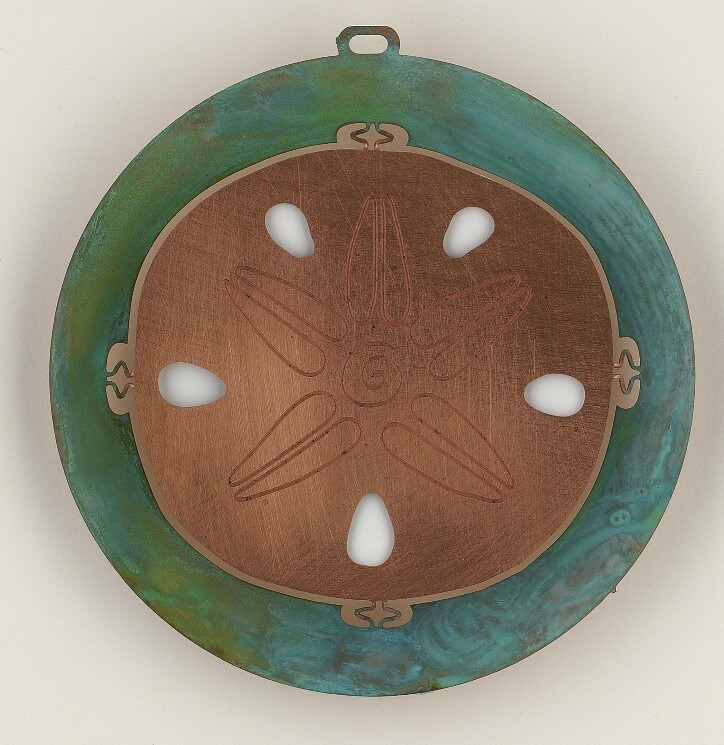 Diameter is 3.5 inches.